Famous have taken the trusty Cessna 182 and given it a total make over from the ground up. It now really does replicate the full size even to the fully functioning navigation lights. The durability of the EPO foam has been further bettered with a superior surface finish and factory applied decals. 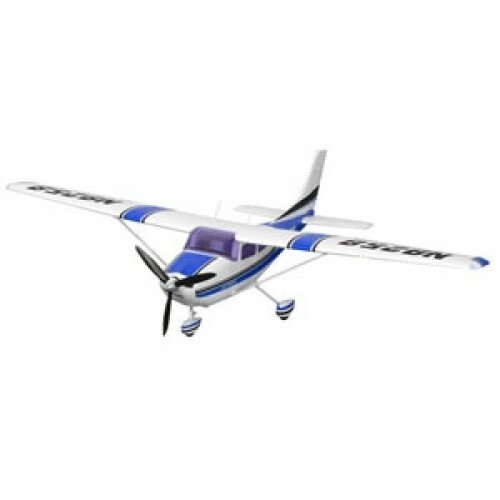 Stability and predictability are two strong points of this airframe and together with the high power brushless motor and scale 3 blade propeller, it results in a great trainer and intermediate aircraft. The wing loading remains wonderfully light, but to add more realistic flight characteristics this model also features scale flaps, they have proved to be great fun and give an extra dimension to the flight envelope. The budding pilot can easily perform aerobatics such as Stall turns, inverted flight, point rolls, loops and bunts with minimal effort. 2 Piece Composite Main Undercarriage and scale steering nose wheel.